Red color burst background poster flyer banner. 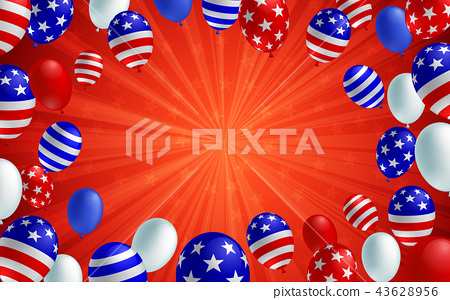 American flag balloon vector design. Holiday celebration concept template.